There are many misconceptions surrounding Kratom dangers. The herb has been used for centuries by many thousands of people to lift moods, increase mental energy, alleviate feelings of mental and physical pain and generally to help them relax. 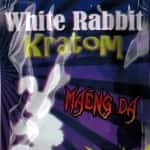 Recently, however, US media outlets have been propagating a number of myths regarding Kratom as dangerous and a legal high with no actual benefits. The potential dangers have been blown out of proportion, causing lobbyists in some states to push to make Kratom illegal. However, reported risks associated with use of Kratom side effects are unfounded and based on bad science. Some news reports make Kratom out to be as addictive as any street drug, just as easy to abuse. 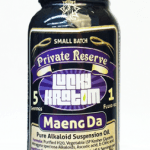 They also claim that Kratom gets users high and has long-term side effects. 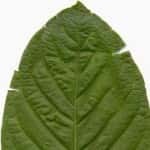 Studies that have been conducted on Kratom disprove these claims, as do thousands of people who use it regularly with no long term effects or dependence. Is Kratom Dangerous to Take? 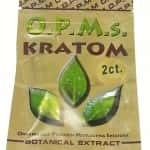 So is there any danger involved in using Kratom? Sure, just like anything else that can influence how you feel, it is possible to use Kratom to excess, and even to abuse the substance. However Kratom is not addictive in the clinical sense of the word, and there are few side effects linked to use of the herb. When taken in small doses no more than a few times a week, it is quite safe and offers a number of benefits. Adverse side effects rarely show up unless the user is taking doses many times what is recommended or take it every day for months. Much of the concern surrounding Kratom comes from the idea some people have that it is a new synthetic drug like bath salts or K2 that have been abused in place of other illicit drugs. Far from being a synthetic drug, Kratom is a natural substance that comes from the leaves of the Mitragyna Speciosa plant and is used for medicinal purposes. 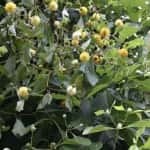 The leaves have been chewed by Southeast Asian people for thousands of years for its mental and physical health benefits. It has been used as a cooking ingredient, steeped in a tea and given to relieve pain. It has also been used to help field laborers stay motivated during demanding work. Kratom offers effects similar to those of the natural endorphins released by the brain after exercise. It can dull pain sensations and does so without risk of respiratory depression and other serious side effects that can occur when using stronger pain killers. Kratom has also been shown to increase brain activity, causing some users to become more highly motivated. It can help with the completion of demanding tasks and improve the brain’s executive functions. Kratom improves productivity by enhancing attention, sharpening focus and improving judgment, all of which can increase your ability to complete purpose driven activities. Recent media reports represent Kratom users as seeking a legal way to get high and Kratom as a drug that promotes feelings of ecstasy. This is far from an accurate description of Kratom or the majority of its users. In small doses, its effects are similar to caffeine. It boosts energy, but instead of making the user jittery, it keeps the user mellow and enhances mental clarity. In larger doses, the user may notice improved mood and a mild feeling of euphoria, though larger doses are more likely to increase feelings of calm and induce sleep. There have been no reports of overdose to the Poison Control Center, nor have there been any deaths attributed to Kratom. The herb offers benefits over a wide range of doses, and overdose would require such a huge dose that it is unlikely. Some reports also claim that Kratom causes immediate addiction and serious withdrawal when the user tries to stop. 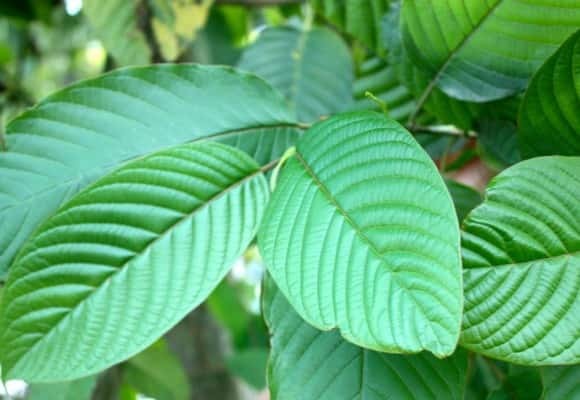 While it is true that the active compounds in Kratom do stimulate the opioid receptors in the brain that respond to morphine and other opiates, the receptors are also stimulated by the brain’s natural endorphins, which are responsible for responsible for feelings of pleasure and can blunt pain sensations. Research conducted on Kratom dangers indicates that the risk of becoming addicted is highly unlikely. Actually, it would be more accurate to think of ‘addiction’ to Kratom as being more a matter of people forming a habit than of developing an actual physical dependence. Reports of dependence on Kratom side effects only show up in people who use extremely high doses for prolonged periods of time. It is also possible to develop a tolerance to the herb, so that it takes higher doses to produce the effects. This could cause some people who are prone to addictive behaviors to feel like they need to take increasingly higher doses, rather than to take a break from the substance. In people like this, it is possible that they could become irritable, anxious or to have less energy. Even this risk is low and only occurs slowly, over prolonged periods. Concerns regarding this danger are frequently inflated by rehab clinics that charge large sums of money to help patients overcome addictions. Kratom does not, however, lead to the kind of physical dependence seen with people who are addicted to morphine, heroin, vicodin or other pain killers. In fact, some people who are addicted to other substances have been known to use Kratom to help ease their withdrawal symptoms to help them quit. Even Dr. Oz has suggested using Kratom while detoxing from narcotics. What are the Negative Side Effects? Some media reports suggest that even if you manage to not become addicted, the substance causes such serious negative side effects that you it’s nearly impossible to use without serious and long term physical damage. One recent news article alleged that Kratom was the most recent drug to be popping up in widespread emergency room cases across the nation. There is no actual evidence to support the allegation. At normal doses, side effects are rare, mild and temporary. The most commonly reported side effects include nausea, vomiting, loss of appetite, lightheadedness, or sleepiness. Unlike prescription pain medications, Kratom is not toxic, does not cause lethargy or impairment like that seen with morphine, and there is no risk of respiratory depression as is sometimes seen with people taking morphine. Don’t be scared off by these allegations of Kratom dangers and side effects. Provided you use it responsibly, the herb is quite safe and offers a number of benefits. hi, which strain would you recommend to lower blood pressure?